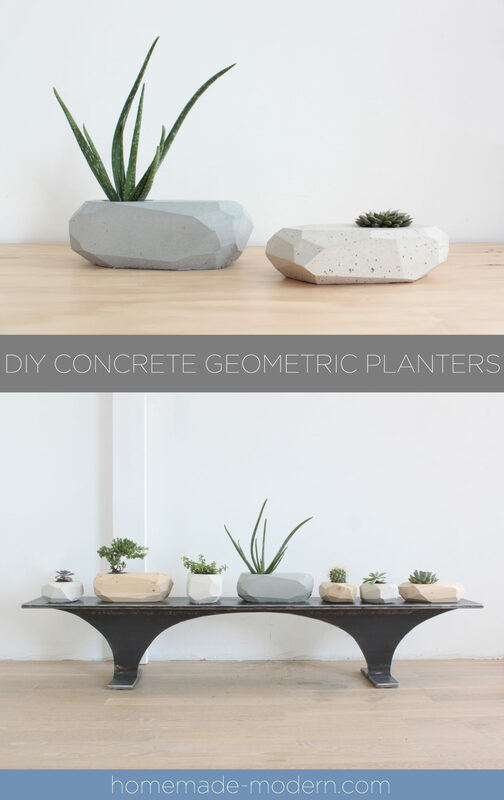 I made reusable silicone molds out of Mold Star 30 from Smooth On so that I could make a bunch of these geometric concrete planters. I made the originals out of 2x6s from Home Depot. This project took about 4 hours to make and cost around $70.